We often marvel at the modern inventions that have made our lives so much easier than those of our ancestors. Sure, some of these products have been deadly, but most have transformed our lives for the better. Yet many of the conveniences we’ve grown to rely on have existed for thousands of years in some form or other. But without modern production methods and materials, our ancestors used their innate creativity to tackle everyday issues. Mostly, clothes have become skimpier throughout history. 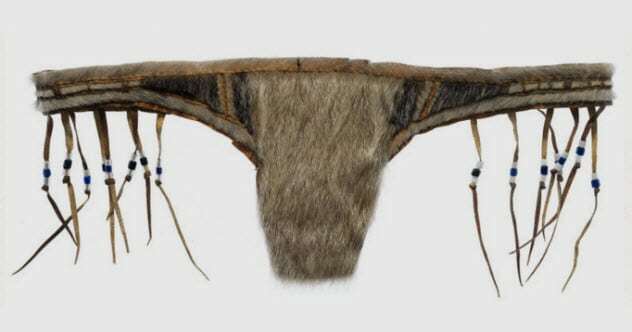 But the modern thong is a surprisingly old innovation that Greenlandic Inuits have been rocking for several hundred years. The naatsit is a traditional G-string-like undergarment made of seal fur, chosen for its durability and not-too-hot and not-too-cold level of insulation. It’s stitched together with reindeer or whale sinews and made fashionable with decorative beads or the head of the seal attached to the codpiece. Men and women both wore the undergarment. They might conceal it beneath a thicker pair of seal fur trousers or just sport the naatsit itself when chilling about the house, much to the shock of visiting Danish missionaries. Dice have been around for ages. But the Met Museum has the world’s oldest D20, a 20-sided icosahedron from Egypt dating to the Ptolemaic Period, so it’s potentially more than 2,000 years old. 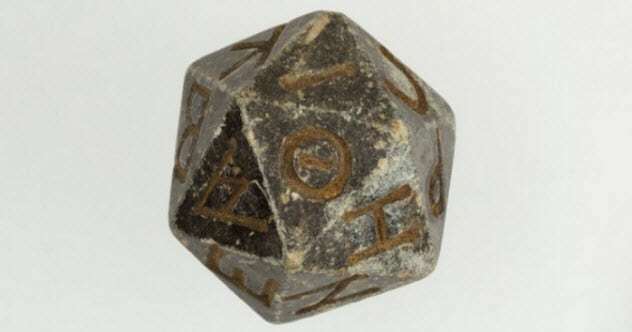 Not much is known about the die except that it’s 2.5 centimeters (1 in) tall, made of serpentine (rocks with snakelike spots), and features Greek letters. Its journey can be traced back only about 100 years when Reverend Chauncey Murch, uh, acquired it while doing missionary work in Egypt. But it’s unlikely that its long-gone crafters created it for tabletop RPGs or even gambling. Instead, the antediluvian D20 and similarly aged dice might have been used for divination or ritual ceremonies. According to antique beds found in South Africa, “cavemen” were a lot more creative than they are given credit for. Archaeologists discovered the 77,000-year-old mattresses at the Sibudu site inside a cave carved from sandstone cliffs. The cavemen knew more than we thought about the local flora because they built their beds from at least 15 layers of medicinal plants and greenery, including “sedges, rushes, and grasses.” Most notably, they collected river wild-quince, known for its bug-killing, mosquito-repelling properties. 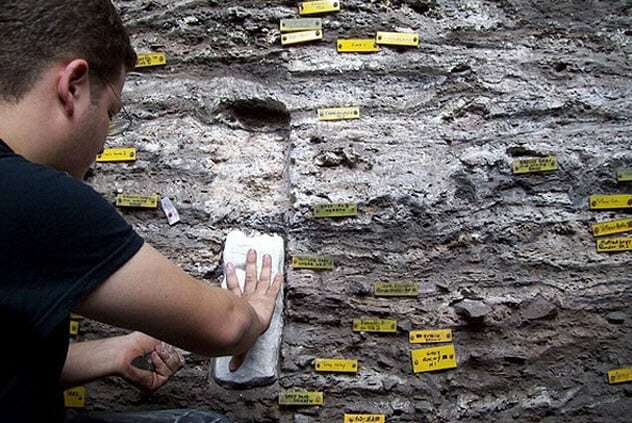 The Sibudu mattresses are 50,000 years older than the next-oldest bedding and surprisingly comfortable because their makers stacked them 30 centimeters (12 in) tall, continually refreshed the plants, and liked them enough to continue the trend for the next 39,000 years. Ancient peoples indulged in a variety of drugs that were common to their region. Fertile Crescent inhabitants made alcohol, and Mesoamericans preferred psychoactive plants. Recently, scientists have found the first evidence of drug use in the Near East as well. In what was and is traditionally a conservative region, researchers discovered a sizable kitchen-type area where ancient Cypriots produced ritual drugs and medicines en masse, including opium-derived substances and some from the more psychoactively inert chamomile. 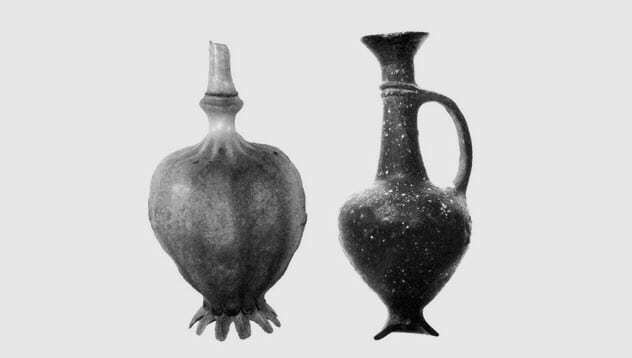 After they cooked up their opium, the Cypriots stored it in opium-shaped jugs, one of history’s first examples of branding. Researchers found these jugs at local religious sites and also faraway lands like the Levant and Egypt, suggesting a 4,000(ish)-year-old opium trade. The Egyptians regarded hair as a status symbol and invented hair extensions as well as gels to look their best, both in life or death. A recovered 3,300-year-old corpse from Amarna sported “a very complex coiffure with approximately 70 extensions” attached to different parts of the head. Archaeologists have found numerous other Egyptian bodies with hair extensions which have survived quite well and still look good, all things considered. 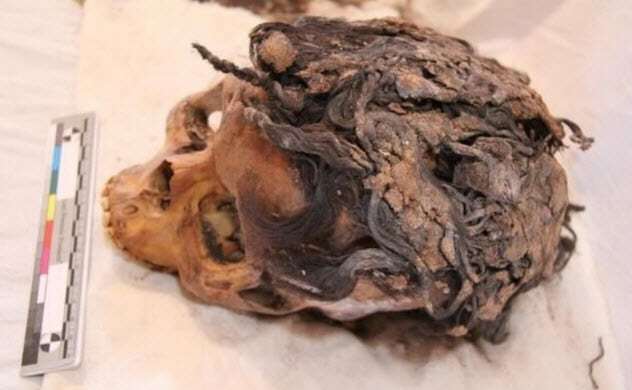 Similarly, the examination of 18 mummies from 4 to 58 years old and from as far back as 3,500 years ago showed that nine had traces of a fatty solution in their hair: gel. It was likely enjoyed by higher-class individuals and was applied both to the living and the dead, ensuring that not a hair fell out of place on their great journey into the afterlife. 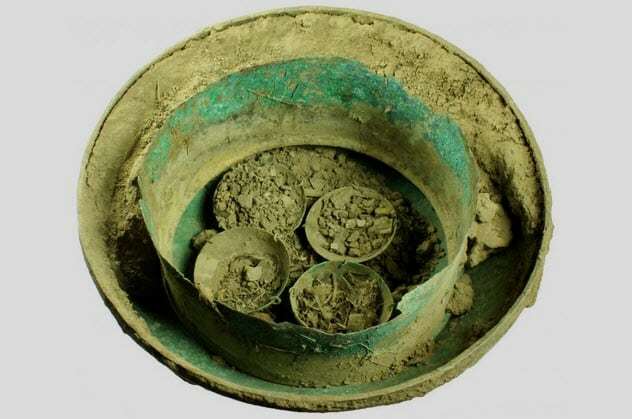 In 2014, archaeologists discovered a cache of Roman bronze pots in Wiltshire, England. 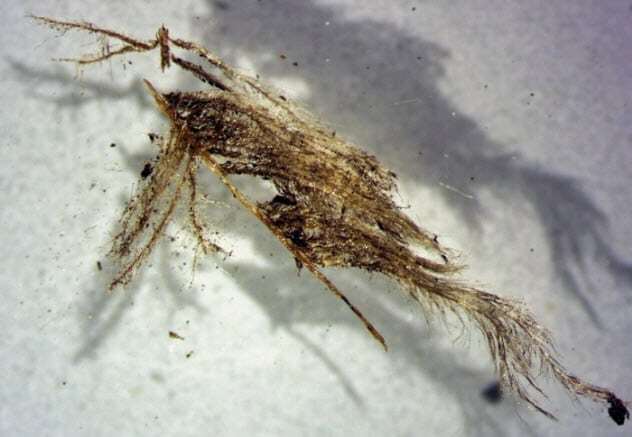 Sure, the containers themselves were sweet, but what made the hoard unique was the desiccated organic matter found around them. Turns out, the precious 1,500-year-old pots were swaddled in history’s oldest bubble wrap. Pollen analysis revealed a mix of bracken, knapweed, and other endemic plants and flowers, including clover and buttercup. It also pinpointed a date. Based on the condition of the plants, researchers believe the pots were buried during the late summer circa the fifth and sixth centuries. The pre-Inca Moche people of northern Peru enjoyed 700 years of existence before succumbing to mysterious, probably environmental causes. 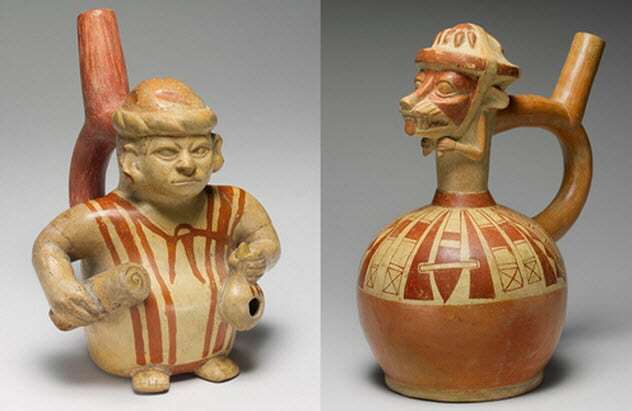 In addition to temples, tombs, and irrigation canals, the Moche left behind a collection of the finest, most whimsical pre-Columbian ceramics. And they didn’t even have the pottery wheel. Unlike the dull, unimaginative wares crafted by other cultures, the Moche shaped their vessels into animals, plants, portraits, and religious and natural scenes. Some of the ceramics were sent as royal gifts to neighboring communities, while others were placed in tombs as funerary relics. Known mostly for pillaging, the Vikings also made some of history’s swankiest pillows and duvets. Archaeologists digging up Viking burial mounds in Norway found them equipped with elegant bedrooms. They were furnished with all sorts of extravagances, including pillows and duvets stuffed with a combination of feathers. Researchers revealed that the Vikings did not stuff their bedding with whatever garbage feathers they could find. Instead, they used a well-studied combination of rare and common birds to create ultimately soft yet supportive pillows. The Vikings plucked feathers from crows as well as eider ducks (for insulation). Then, for sheer style, they used feathers from the luxuriant Eurasian eagle-owl, one of the mega-continent’s largest owls. Early glassmaking was a mess. The clumsy, limited methods could produce only about one bottle per week, so glassware became as valuable as precious metals and gems. 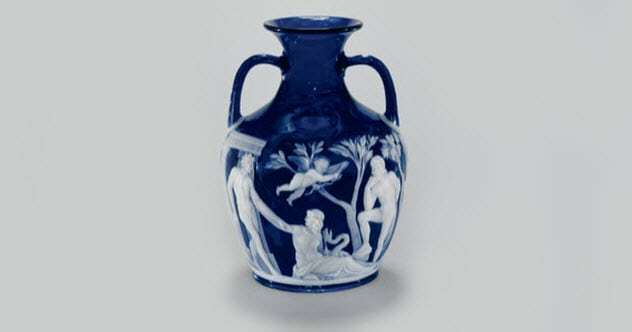 Then, in 50 BC, the Romans invented glassblowing, which allowed for easier shaping. When they combined this with improved furnace technology, Romans were soon putting out delicate glass pieces by the ton rather than the pound. This devalued it for a while until the Romans made it luxurious again with immaculate “cameo” glass produced circa 27 BC to AD 68. By layering glass bubbles and then chipping away where needed, the Romans created a multicolored glass even more beautiful than the natural, equally prized sardonyx (layered onyx). Then they decorated the glass with gods and glimpses of daily life. A cache of 5,000-year-old children’s toys was unearthed at one of the world’s oldest settlements. 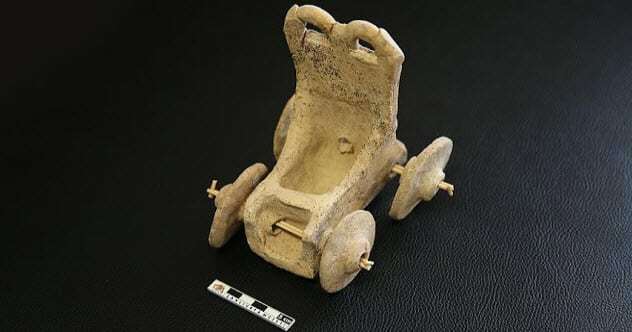 It includes the world’s earliest toy “car”—an earthen, four-wheeled chariot. Researchers discovered the toy carriage inside a complex of tombs in the city of Sogmatar, Turkey, then a necropolis and religious center dedicated to the Moon god, Sin. One of the tombs, likely a child’s grave, featured the wheeled toy and a rattle with a bird motif. Like the chariot, the rattle is the oldest of its kind. Few could afford such sophisticated toys, so they were probably made for the children of kings or other Bronze Age hotshots. Read fascinating facts about deadly household items on 10 True Stories Of People Killed By Household Objects and 10 Deadly Household Items You’ve Probably Used Today.